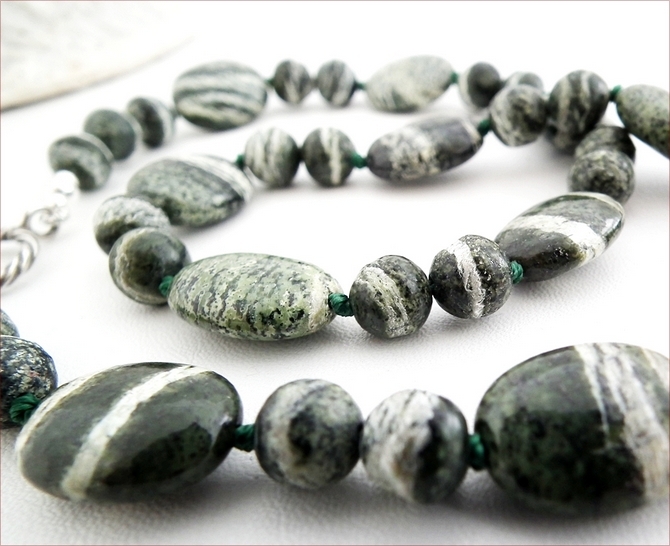 For this necklace I have used oval (20mm x 10mm) stones with 8mm round stones, knotting either side of the ovals for drape and durability. 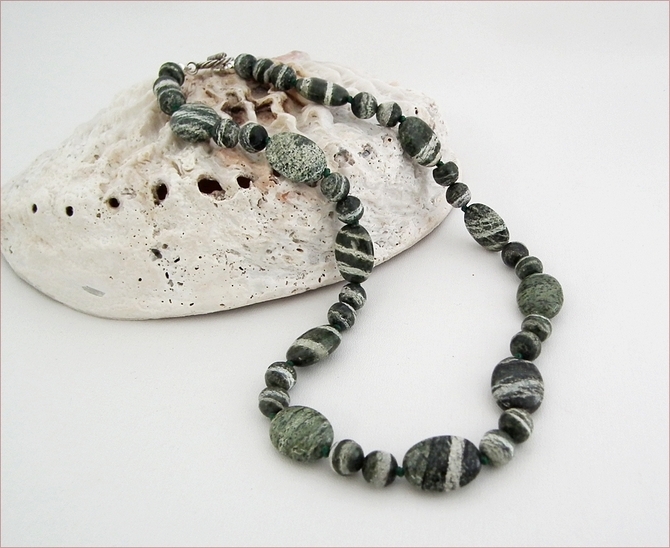 The necklace is 18.5" (480mm) long, fastening with a twisted wire Karen Hill Tribe silver toggle. 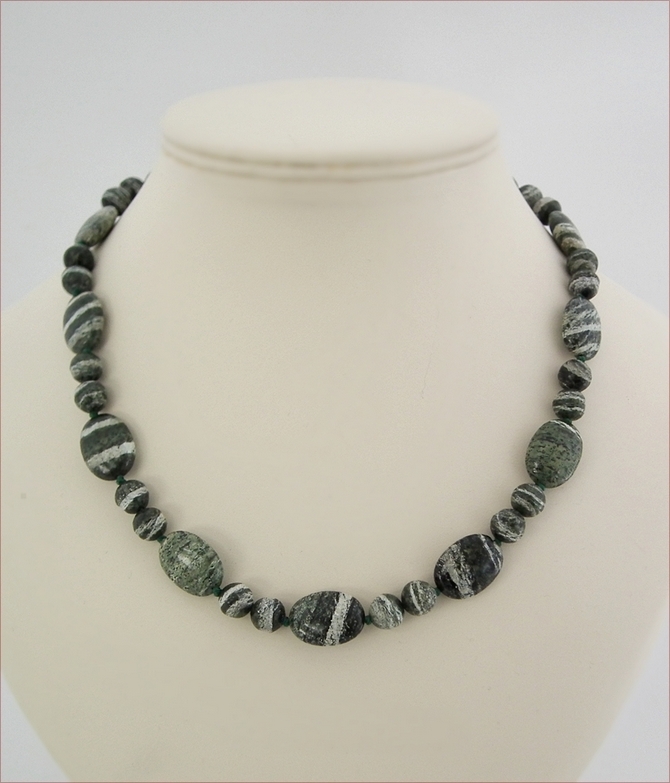 Karen Hill Tribe silver is made in Thailand and has a much higher pure silver content than sterling silver - which all the other metal parts in this necklace are. 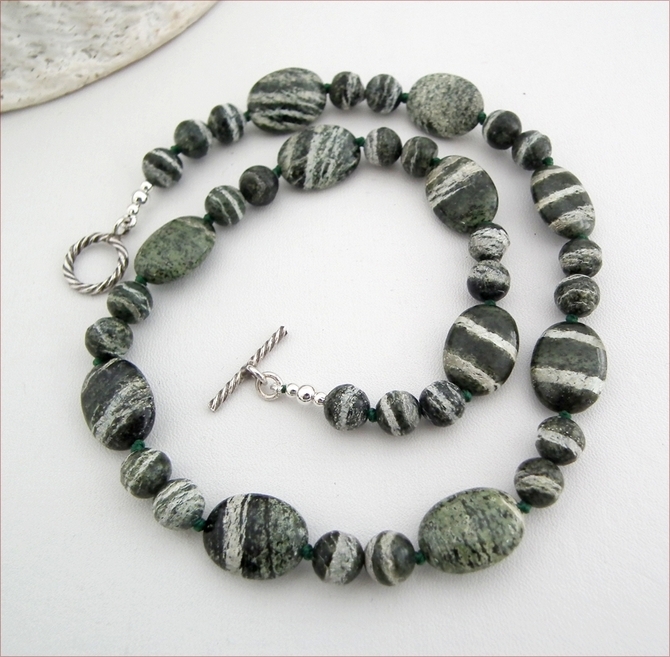 I love the dark green of this and it is the kind of necklace you can wear over and over. Style it with any neutral, blue (yes! ), greys or - and this looks stunning - lime green!